I know I'm late to the graduation party, but I didn't want to miss sharing this. On graduation day I invited friends and family and therapists to come so we could all cheer and celebrate this momentous day we all worked so hard for. Huddled together on the bleachers we were all excited screaming "Go Nick", clapping and cheering as he walked out to take his seat. 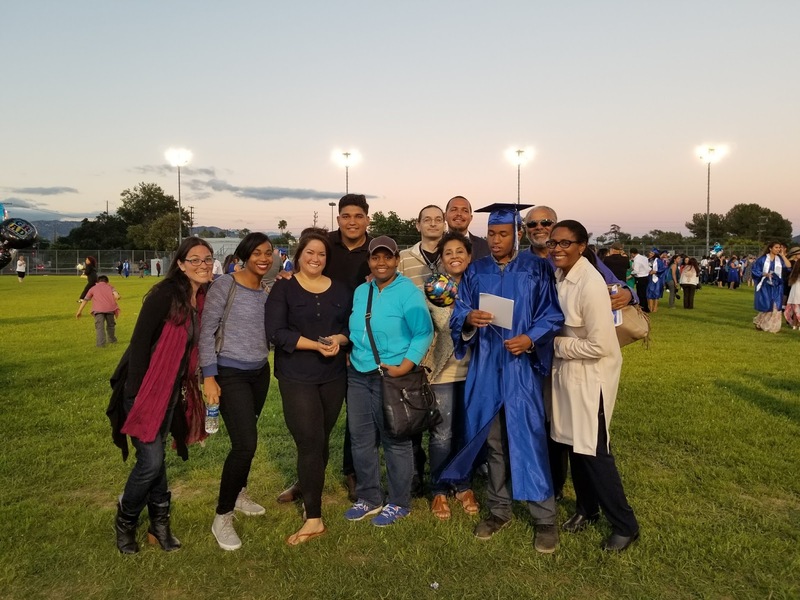 We were just like all the other families celebrating each graduates success and the joy of knowing this was the beginning of what we all hoped would be an exciting chapter for our children, the dawn of a new day. 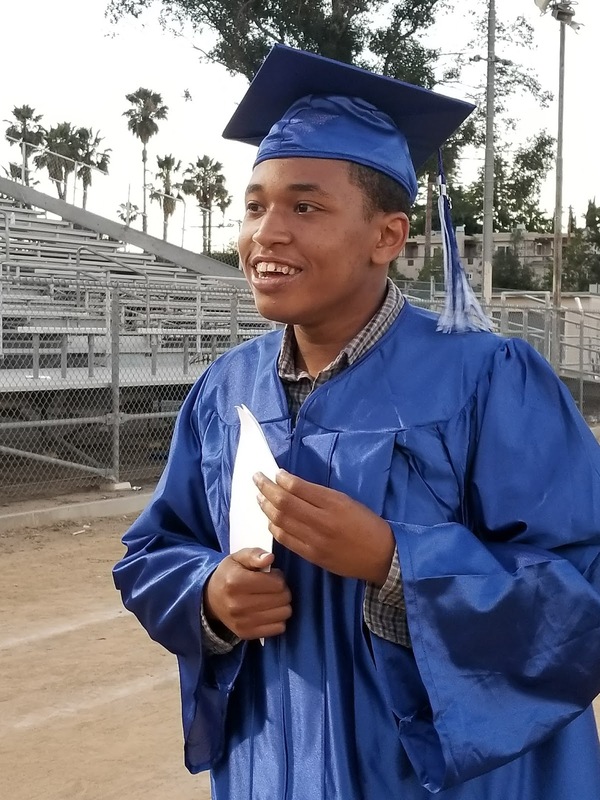 As the valedictorian talked about their future, what each student will do next, the contributions they will make to the world, and the thrill of the academic, personal and professional journey ahead, something snapped in me, and my excitement was gone. My stomach tightened as a wave of profound sadness, borderline nausea passed through me and I went from feeling like all the other parents to an actor in a play, a fraud an imposter pretending to be like the other parents, pretending to fit in because this sounded nothing like Nick’s future, nothing like our life. I put my head down to cover my face and hide the tears flowing from my eyes. I stopped hearing or seeing the ceremony as my mind began racing with thoughts “What the hell! Am I crazy? What am I celebrating? Nick is walking but he’s not getting a diploma. He’s not like these other kids. What future, mall walker!!!? This is not the start of an exciting future for Nick we’re just getting closer and closer to the world where there is no place for him, a world where one day I won't be here to protect him!” And all of the joy of the moment evaporates. I tell myself to snap out of it and I pick up my head and go back to watching the ceremony. I do the right thing, and I yelled in support as he walked across the stage. Finally, the ceremony ends and we all rush down to the field. I’ve put on my happy face, still unable to silence the thoughts in my head and the grief I'm feeling. Then, I see Nick who is exploding with joy and what looks like pride as he jumps and smiles and laughs clutching his certificate. His joy is so big, so infectious my grief vanishes and I realize this is the point, this moment, these feelings right now and not what is next. It doesn’t matter if he isn’t like the other students, it doesn’t matter if his future won’t be like theirs, it would not be like theirs even if he was typical. It doesn't matter if he isn't holding a diploma or know what all of this means. The truth is each student faces the unknown, just as much as Nick does, some will have a better future, so will not. But I do know what every parent wants most is for our child to be happy, and mine was probably the happiest one there! I watch everyone congratulate Nick, I see my beautiful happy boy and I am so relieved I didn’t let all the thoughts in my head, and my concerns for his future, rob me of the joy of the moment. Note to self, the past is gone, the future is unknown, so remember mama to stay in the now, or risk missing something pretty damn amazing!